Marshall University’s Appalachians Abroad Teach in China Program recruits and places an average of 50 Americans annually to teach English in universities, public and private K-12 schools in China. Marshall University’s Appalachians Abroad Teach in China Program recruits and places an average of 50 Americans annually to teach English in universities, public and private K-12 schools in China. Since its establishment, the Appalachians Abroad Teach in China Program has sent over 700 American qualified participants to teach English for one year in China. 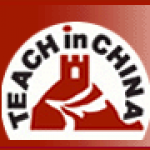 Please browse our website to find out more about the Marshall University’s Appalachians Abroad Teach in China Program and learn how to apply and take advantage of this fantastic and once in a life time opportunity. Although teaching duties vary from one school to another, average teaching loads range from 16 to 20 hours of instruction per week. The emphasis of teaching is on English language and North American culture. Many teachers may teach English composition, reading, speaking and American literature as well. Some teachers may also teach courses in subject fields such as music, history, geography, or science courses in some international schools. As with positions in the states, teachers are expected to write lesson plans, take attendance, correct homework and even assist in academic counseling when needed.